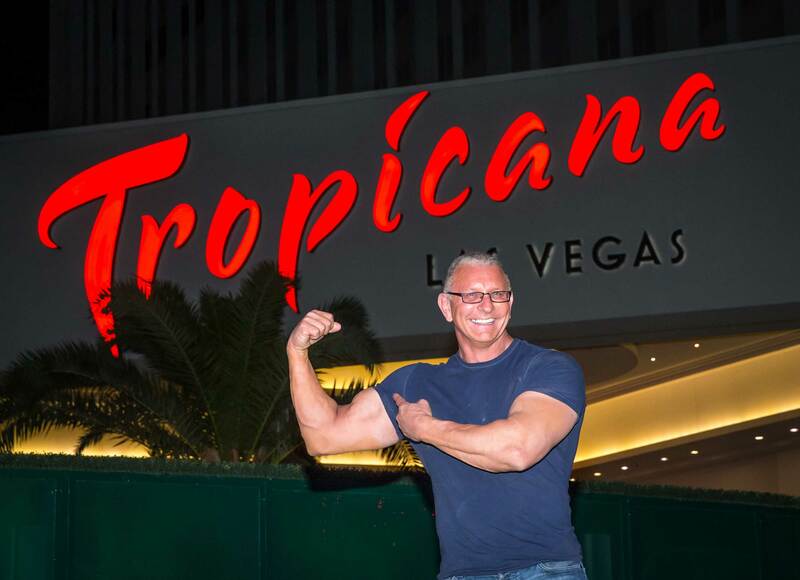 PR Newswire, LAS VEGAS, NV (May 17, 2016) -- Celebrity Chef Robert Irvine, host of Food Network’s Restaurant: Impossible, announced today that he is teaming up with Tropicana Las Vegas to open his first signature restaurant on the Las Vegas Strip. 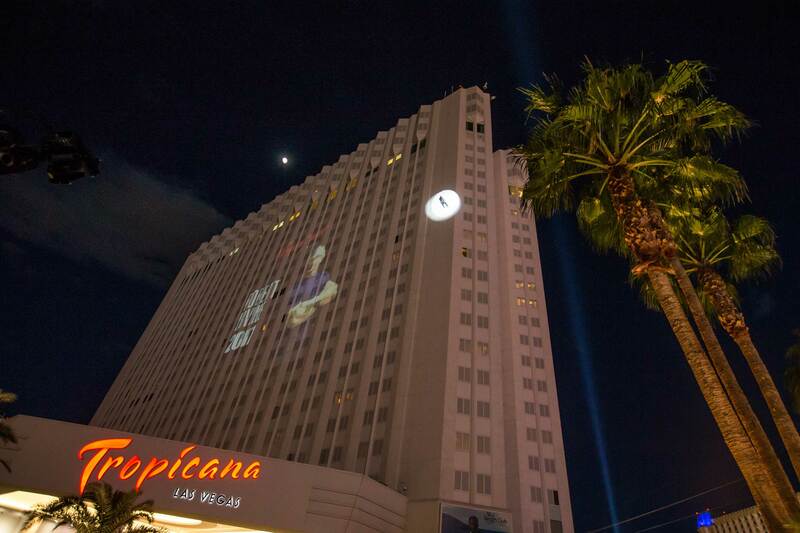 At the press conference, the exterior of the Tropicana Las Vegas came to life, where a high-energy video showed the crowd what they can expect to see from the newest chef in town. 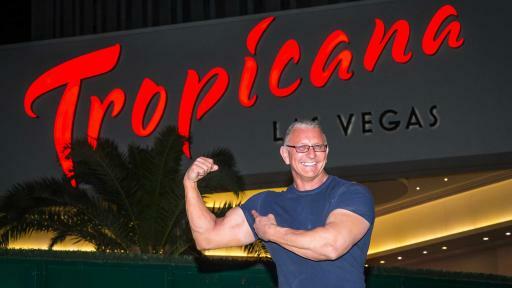 In true Robert Irvine fashion, the celebrity chef made his entrance by rappelling 22 stories (220 feet) down the exterior of the Tropicana hotel to the assembled press below. 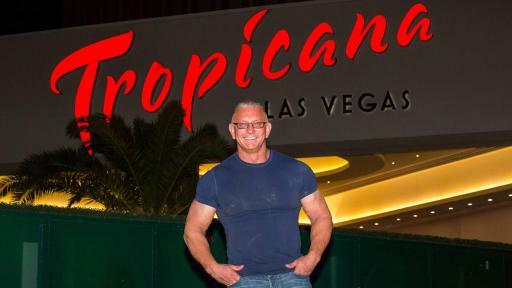 Slated to open in 2017, Chef Irvine will bring his nothing-is-impossible attitude to the all-new modern American-inspired restaurant set to debut on Tropicana’s casino floor. With more than 25 years in the culinary profession, Chef Irvine has cooked his way through Europe, the Far East, the Caribbean and the Americas, in hotels and on the high seas. 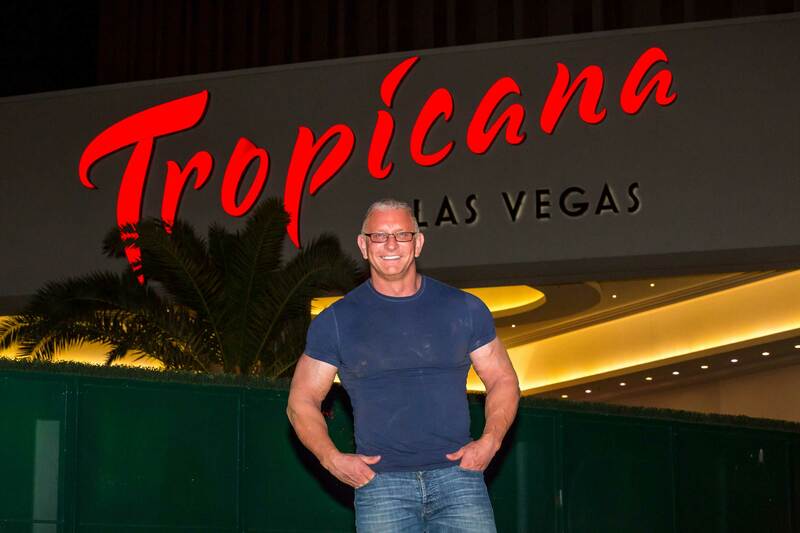 The star chef is known for his experience on the Food Network as host of Restaurant: Impossible and Dinner: Impossible, along with his appearances on All-Star Academy, Chopped: Impossible, Worst Cooks in America, Guy’s Grocery Games and many more. 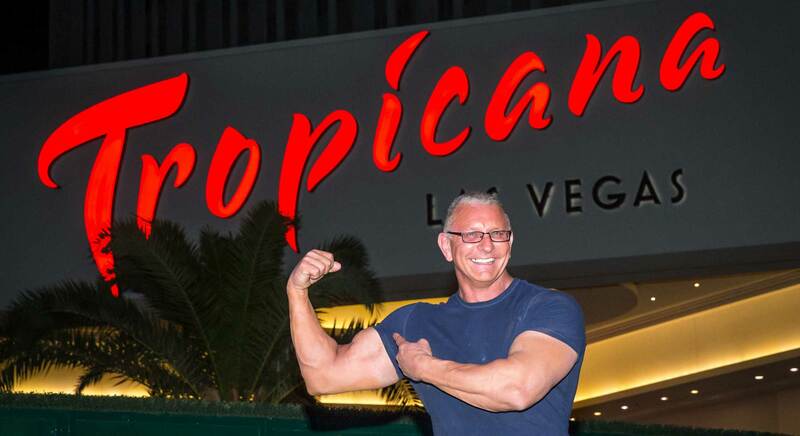 With more than 25 years in the culinary profession, Chef Robert Irvine has cooked his way through Europe, the Far East, the Caribbean and the Americas, in hotels and on the high seas. As the host of one of the Food Network’s highest rated shows, Restaurant: Impossible, Irvine saves struggling restaurants across America by assessing and overhauling the restaurant’s weakest spots. Irvine was previously the host of Food Network’s Dinner: Impossible and Worst Cooks in America, has authored two cookbooks, Mission: Cook! and Impossible to Easy, and one healthy living book, Fit Fuel: A Chef’s Guide to Eating Well and Living Your Best Life. 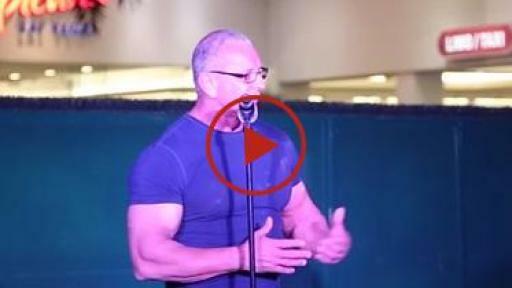 Irvine is currently on tour with his new, interactive live show Robert Irvine Live, and appears regularly as an expert guest on national morning and daytime talk shows. 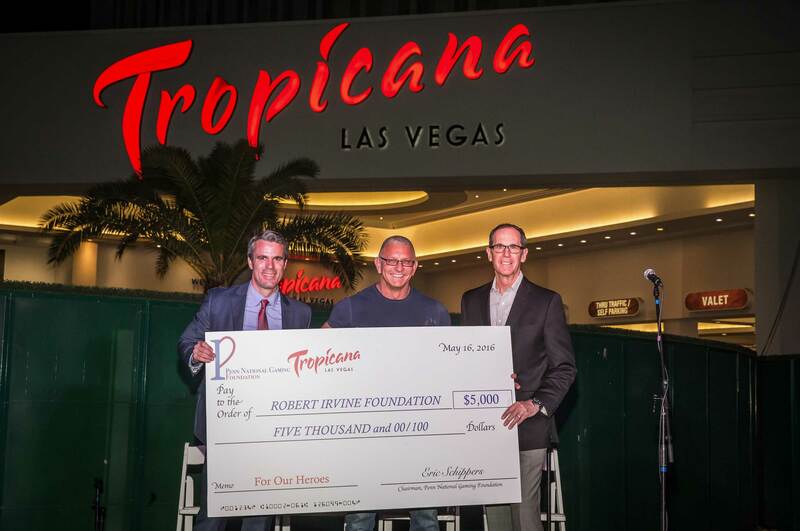 In 2015, Irvine launched Robert Irvine Foods, a company that features a nutritionally improved line of food products without compromising great taste. 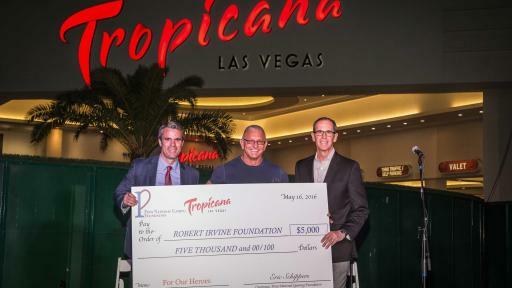 Irvine recently established the eponymously named non-profit organization, The Robert Irvine Foundation, in an effort to support military personnel and their families. Now in operation for a few years, the foundation continues to grow and assist those in need. In recent years he was honored with two very distinguished recognitions for his dedication to the armed services and our country’s heroes. He was first designated Honorary Chief Petty Officer by the U.S. Navy, and later that year awarded the Bob Hope Award for Excellence in Entertainment and Support of our Service Members – a distinguished Patriot Award bestowed upon him by the Congressional Medal of Honor Society. Continuing his support of the military, Irvine will soon become the first celebrity chef to open a restaurant, aptly named Chef Robert Irvine’s Fresh Kitchen, at the Pentagon in the summer of 2016. Also, Irvine just announced the launch of the Robert Irvine Magazine in May 2016. 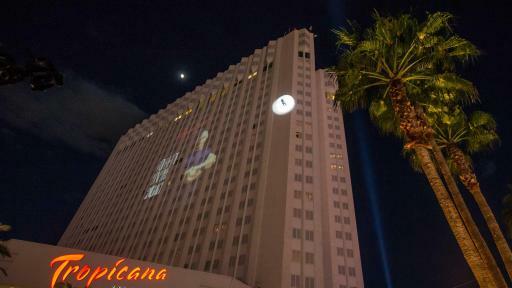 For more information on Chef Robert Irvine, visit www.ChefIrvine.com.